We would like to introduce you to Glory, as in GP, RW Brittingham's Glory Be of Purrdelis. Glory came to us from Florida, originally, to help us with our Van-pattern program. 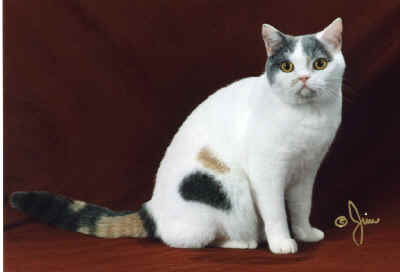 She is a dilute calico spay who was born 11/20/96. Glory joined our family to be a breeding kitty, but told us she would only be happy and healthy as a spayed kitty. 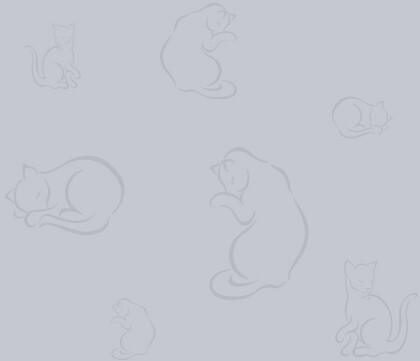 She bloomed into such a beautiful kitty that we had her plying her trade at local shows in the Northwest Region of CFA. 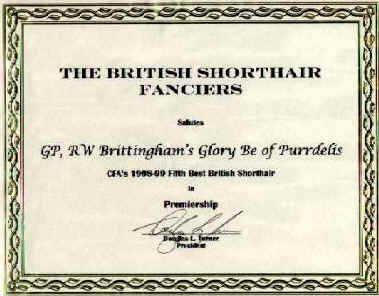 Glory was recently awarded the 18th Best Alter in the Northwest Region of CFA. She has since retired from her show career, and is now looking for a new home. Glory is a very affectionate cat who may take a while to get to know you -- but when she does, she will reward you with much lap time, purring and head butts. Glory has a heart murmur which has not affected her health, but it may affect her longevity. Glory recently left Purrdelis to become queen of her own castle. She will rule the roost at her new home in University Place. Glory will have one main man in her life, Joe Campagno. She is Joe's first cat, and we are sure she will have him trained in no time. We are very pleased that Glory has a wonderful new home where she will wile away her retirement years in pampered comfort. 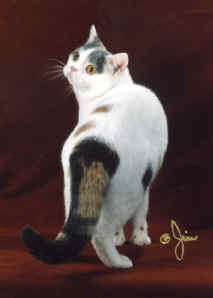 In the 1998/1999 CFA Show season, Glory earned the award of 18th Best Cat in Premiership for the Northwest Region. 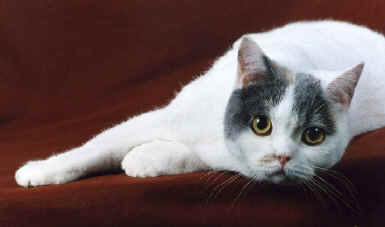 In the 1998/1999 Show Season, Glory was 5th highest scoring British Shorthair in Premiership. 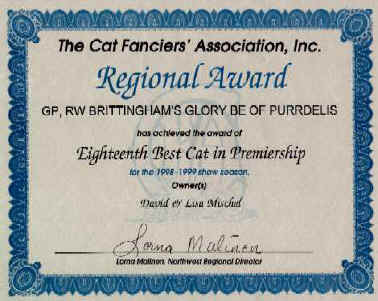 This award was presented to her from the British Shorthair Fanciers breed club.